It seems that nearly every week we report on groundbreaking news from TED, the global nonprofit known for its “Ideas Worth Spreading”. Today, it announced its latest efforts in the education space: a dynamic TED-Ed site with new teacher tools for customized learning experiences. The new platform allows educators to customize TED-Ed videos with follow-up questions and assignments. This is the 2nd phase of its TED-Ed initiative, after announcing its TED-Ed YouTube channel this past March with 12 short, 3-10 minute videos that extend beyond the lecture format for which TED is known. The 12 YouTube videos it featured have since received 2.5 million views and are now available on the TED-Ed platform. The easy-to-use platform for teachers is one of the most promising I’ve seen in today’s tech-education space. To optimize TED content for use in educational settings, the new TED-Ed website was built with a $1.25 million commitment from the Kohl’s Cares cause merchandise program, which sells special merchandise and donates 100% of the net profit to benefit children’s health and education initiatives nationwide. 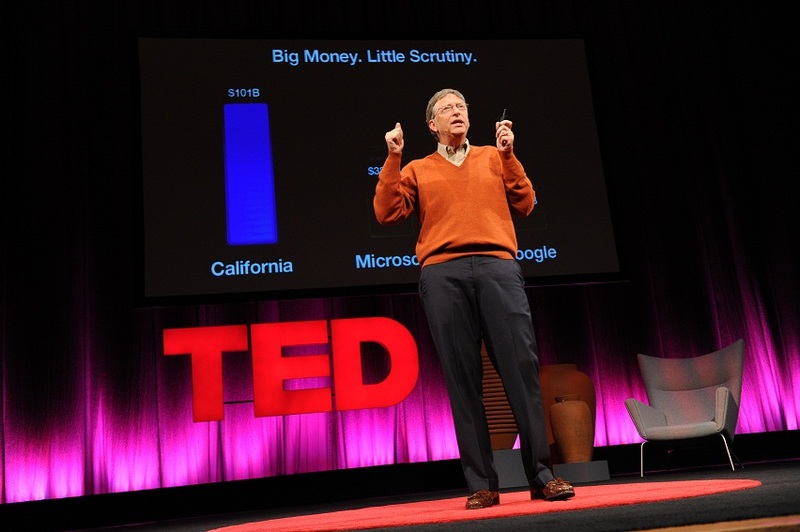 For the first time teachers will be able to browse TED content based on the subject they teach. Each video featured on the site is mapped, via tagging, to traditional subjects taught in schools and comes accompanied with supplementary materials that aid a teacher or student in using or understanding the video lesson. As the content level grows so too will the taxonomy. One of the platform’s major features is the ability for teachers to “Flip” video content — from YouTube or the TED-Ed platform — and create tailored lesson plans. The term “Flip” is a nod to a method of teaching called Flip Teaching, a form of education which uses Internet technology to leverage learning in a classroom, so a teacher can spend more time interacting with students instead of lecturing. “One of the great things is that you can take a video done by another teacher, and give it your own voice. You can individualize it. You can customize a lesson, which I’m most excited about,” says Stacey Roshan, an upper school math teacher in Maryland. Not only is the TED-Ed platform intuitive and highly-functional for educators but it was also built for maximum student engagement. Once a teacher has customized a lesson plan, he or she receives a unique URL that will show which students have watched the video and responded to assigned questions. When you’re watching a video on the platform, you can toggle around and the video keeps playing. If you choose to create a profile and log in, you can save all of your work on the site. The site gives real time feedback as you answer the question and if you get a question wrong the website provides video hints. “I love that there is a quiz section, and it lets students retry and retry until they understand the challenge. This is about teaching them, not quizzing them to see who gets things rights and wrong,” adds Roshan. TED-Ed is a completely 100% free platform geared towards teachers, students and the classroom – especially high school and college, though content is appropriate for lifelong learners. The most promising aspect of the TED-Ed platform is that it’s not just limited to a traditional classroom setting. Its tools can be used by any educator, whether you want to teach guitar lessons or show them how to make crème brûlée. Check out the new education platform for yourself below.